Max J. Kuney Company is proud to be one of the longest tenured General Contractors in the Northwest. We have delivered some of the most challenging projects in the region and we are ready for whatever comes next. Let’s Build the Northwest. Columbia River, near Beverly, Washington: Emergency project in response to a horizontal fracture discovered in monolith 4, approximately 65' in length. Mt. 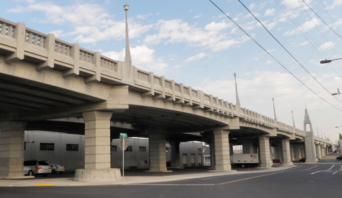 Vernon, Washington: Emergency Design-Build Contract to replace a fallen bridge span on I-5 over the Skagit River in just three months. Bridge Construction - Freeway Interchanges - Highway Widenings. 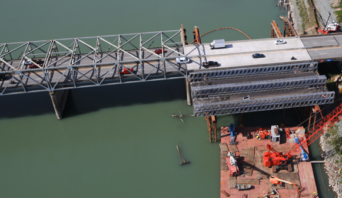 Our Transportation experience includes new construction, rehabilitations, and extensive in-water work. Fish Bypass Structures - Turbine Installations - Cofferdams - Gate Rehabilitations. We are delivering vital hydro/marine projects for a growing number of private and public owners. Design-Build - GC/CM - Emergency Response. We have experience with alternative delivery contracts, and our local resources are ready to respond quickly in the event of an emergency. Safety is at the core of everything we do. Safety of our employees, owners, the public and the environment. Kuney's safety program emphasizes a continuous cycle of Safety EDUCATION / PLANNING / COMMUNICATION & EXECUTION. Whether you are a potential new client, partner or subcontractor. Please get in touch with us if you are interested in working with Kuney or learning more about our experience and capabilities.